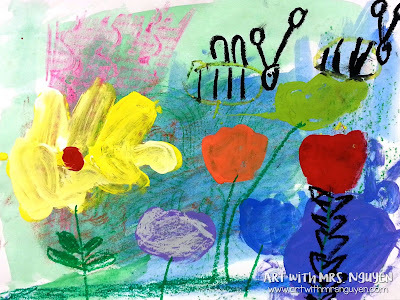 I started this lesson by talking with my first graders about what texture is (the way something feels).. and doing some crayon rubbings. 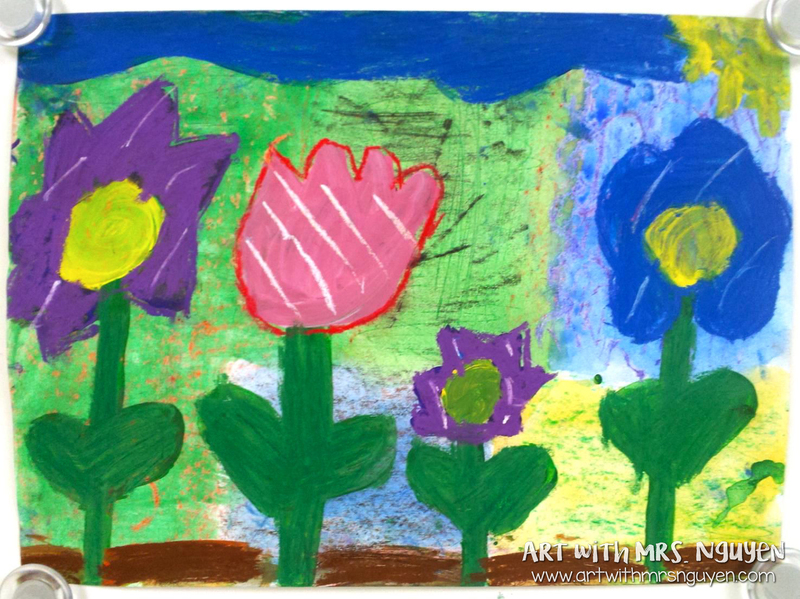 Overtop the crayon rubbings, students used blue, green, and yellow watercolor paints to create a watercolor-crayon resist background. 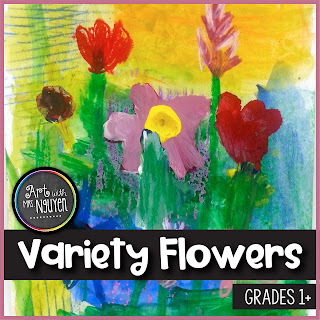 The next day we began by talking about what variety is. 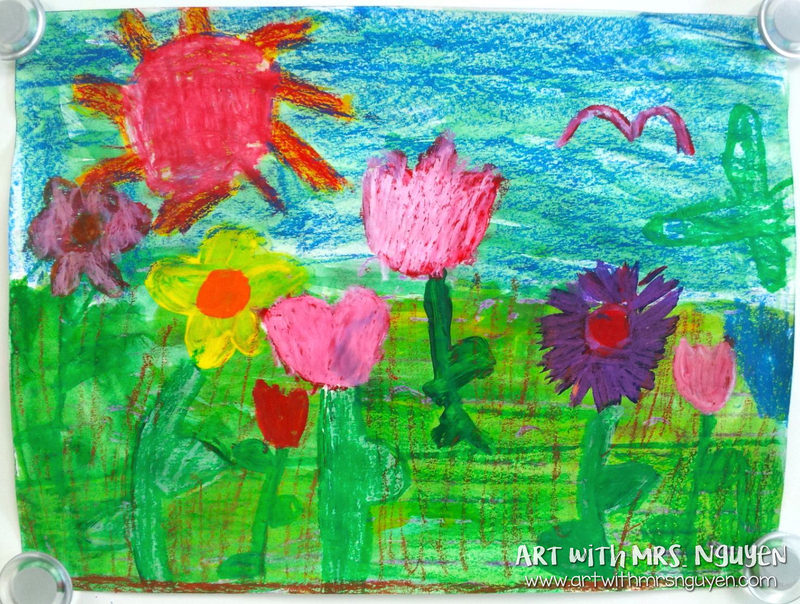 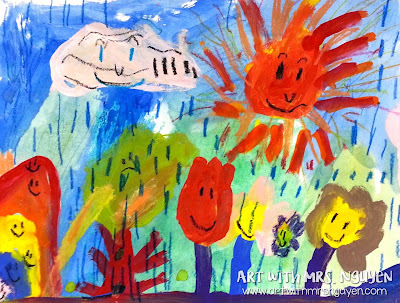 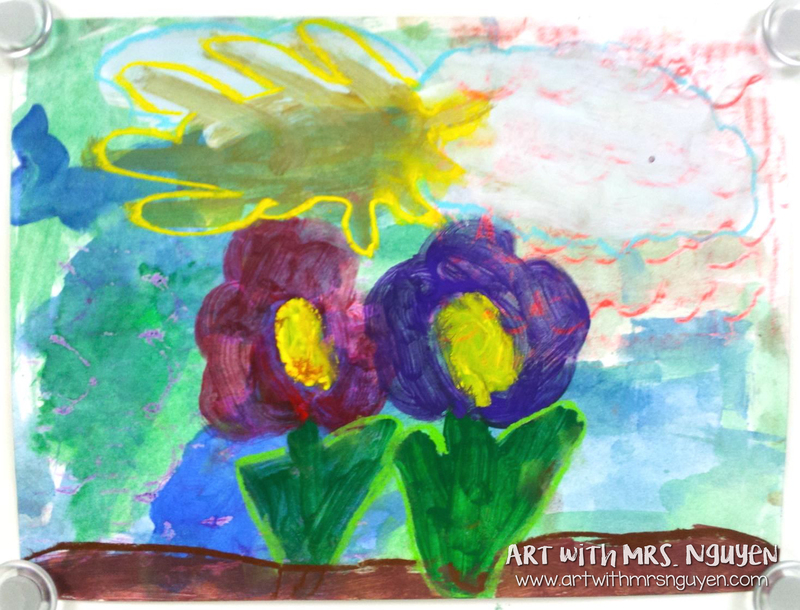 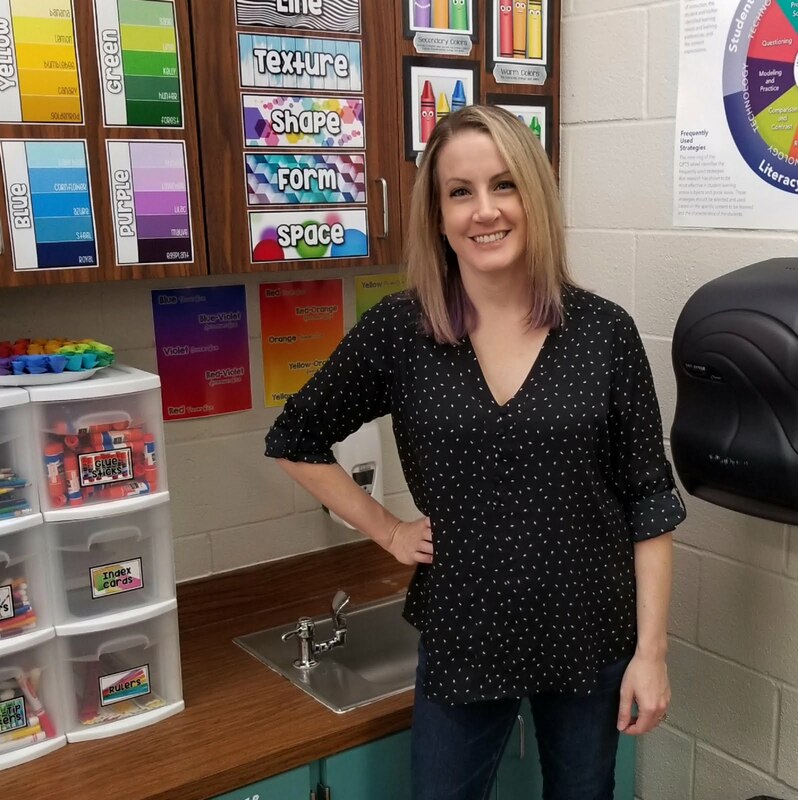 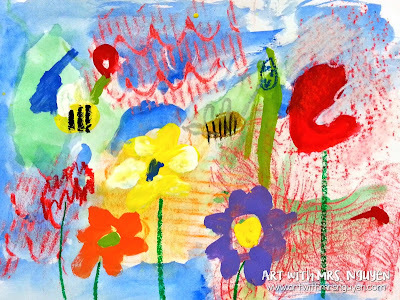 Then I had students paint a variety of flowers (different colors, sizes, species, etc) on their papers from the previous day with tempera paints (I gave them primary colors + white.. so they had to mix any other colors they wanted - GREAT review for them). 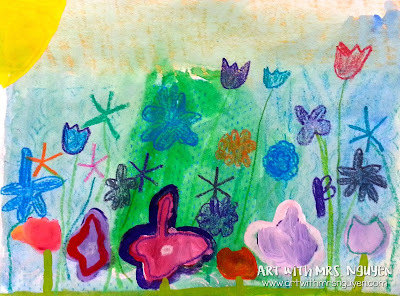 Finally on the third day I gave students oil pastels to add any final details they wanted. 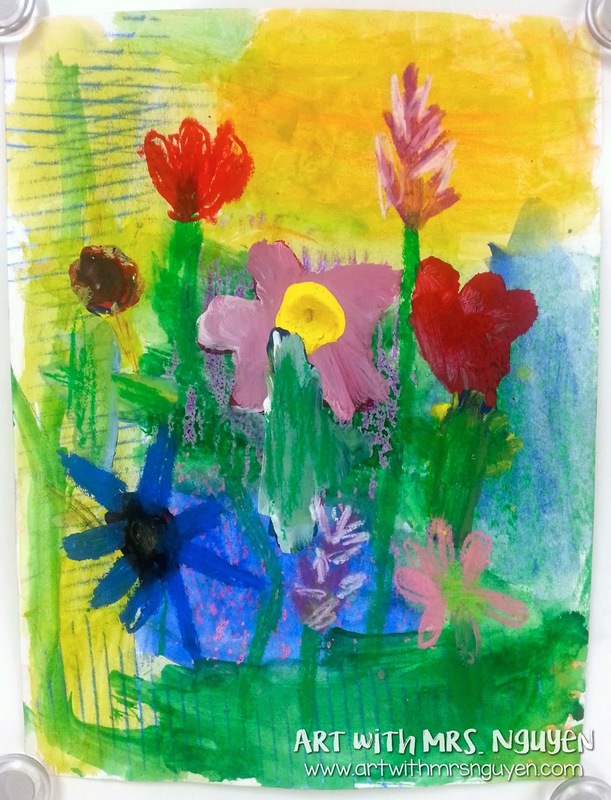 I love this project because the students really got to express themselves and their projects all ended up really unique and different from one another. :) Great job first graders!! If you are interested in more thoroughly written directions and the PowerPoint I used with this project, please check out my store!